1. 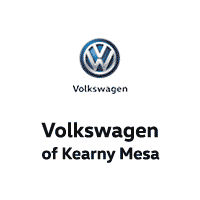 Why Buy From Volkswagen of Kearny Mesa? Bring your vehicle to our San Diego location at 8040 Balboa Avenue San Diego, CA 92111 and receive a free written Appraisal and Commitment to Purchase – good for 3 days. Use this link to estimate the value of your vehicle: AutoTrader Trade-in Marketplace. AutoTrader is recognized as a leading national source of used vehicle pricing. If you use this tool and describe your vehicle accurately, with reconditioning needs, it will help you determine an approximate Trade-In Value. When you visit our location to sell us your car or to trade it in you may accompany our appraiser who will explain how your car is being evaluated.